No one said running a business was easy. Starting a franchise business is hard work no matter what type of product or service you sell. You’re putting your time, talent and money behind a new business venture, and it can sometimes feel very overwhelming, especially in the beginning. Yet with planning, focus, a solid network and the right training and support tools, you can position your business for growth and success. Below are five strategies to help you and your franchise flourish. 1. Have a plan and stick to it. 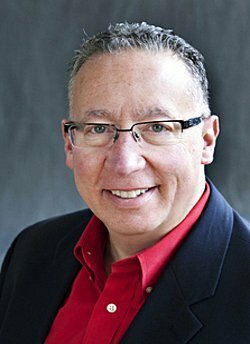 This seems like the simplest of franchise success strategies but you’d be surprised to find that many business owners do not have a plan, and if they do, they don’t stick to it. For many business owners, planning efforts can take a backseat to all of the day-to-day operations and management duties. Before you get too caught up in your daily routine, make sure to set short- and long-term goals for your business and have a plan as to how you are going to achieve them. Your business should always be evolving to meet the needs of your customers and the marketplace. 2. Focus on customer service and satisfaction. 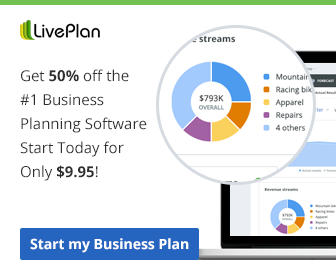 It’s no secret that your customers are the lifeblood of your business. Repeat customers and referrals are vitally important, especially in the beginning when brand awareness within your local community may be weak. Focus on customer service and satisfaction within all areas of your business. Make sure employees are properly trained to provide superior customer service. Allow your customers to provide feedback at any and all times to improve the overall customer experience. Listen to your customers when they have suggestions and comments and incorporate these changes into your business. Consider offering promotions that tie in with the holidays or national, regional or local celebrations, season changes, or something specific and relevant to your type of business and that provide added value or give back to your customers. Most importantly, provide pricing incentives for repeat customers and reward customers for referrals to build your business and to show appreciation toward your most valued customers. 3. Use all the of the tools and support offered by your franchisor. Utilize all of the resources provided to you by your franchisor such as financing, training, sales, marketing, technology and web support. Sign-up for any pre-opening training sessions, take advantage of on-site team trainers and franchise consultants, and participate in available mentoring programs. Attend annual events sponsored by your franchisor or join franchise committees where you can network with other franchise owners in your same position and to advance your skills. Use any online training videos, DVDs, how-to manuals, webinars, and other programs and tools for lasting support in the form of technology, marketing and other operations and management functions. Leave no stone unturned. Most franchisors have a wealth of programs that only a percentage of their franchisees seek benefit from. 4. Get involved in your community. Consider donating your time and services to help support local charities, schools, libraries, hospitals, churches, veterans and women’s groups, among others, whose causes are near and dear to your heart. Not only will this allow you to give back to your community but you will also get to better know your current and potential customers — their needs, wishes, concerns, interests — so you can better serve them. 5. Network, network, network. Take your business to an entirely new level by networking with other business professionals. Join your local chamber of commerce, industry association(s), professional organization, small business owners and entrepreneur groups where you can meet with other business leaders to share ideas and discuss success strategies. Your fellow business leaders are one of the best resources you have at your disposal when you need help, guidance, direction and insight. These business relationships can prove to be invaluable over the long haul. And, don’t forget networking with friends and family. People close to you are often the most supportive and willing to refer you to others in their circle that you may not know. In conclusion, most franchisors will provide you with start-up training and lasting support during the life of your business. Of course, much depends on you and no franchisor can provide you with everything you need to gain traction. Most people you know will want you to be successful and will be eager to lend support in any way they can. All this being the case, running a successful business requires hard work, focus and determination. It’s really up to you to pursue all of the resources available. By doing that and implementing some of these success strategies you’ll be able to position your business for growth and success. 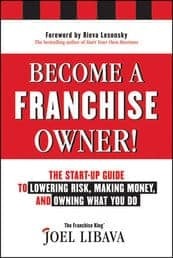 And, grab this franchise book. Excellent points. As a former franchise owner, I totally agree. 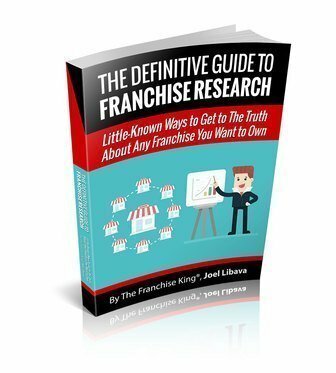 One thing you might want to add is to know, monitor, and emphasis the drivers of your franchise. Focusing on the wrong things can be extremely costly (in $ and lost time/resources). Networking is the most important element if running franchise. Strong networking brings many links & opportunities for business. We learn a lot from our partners & competitors. These are very important tips you shared with us. Thanks for this blog. Well this is a great information for the people who are looking for developing the business. Thanks for sharing guys and keep on updating the good work. It’s very interesting and helpful ! I’ll buy the book ASAP!